Not sure how long this offer will last. Host a House Party Featuring the Premiere of The Powerpuff Girls! The Powerpuff Girls are set to soar on Cartoon Network! Blossom, Bubbles and Buttercup – three little girls with extraordinary super powers – always show the citizens of Townsville how to work together and save the day! Now YOU can save the day by inviting over neighbors, friends and their kids for action-packed games and activities, plus a sneak peek of the series premiere before it airs in April on Cartoon Network. Are you the person your friends and family turn to when they have questions about money or finances? How many of your friends and family with simple tax situations pay a stranger hundreds of dollars to do their taxes for them? What if it were possible for them to do their taxes on their own for a fraction of the price? The TurboTax You Party is an easy way to help your friends and family save money by empowering them with the skills, support and software to take control of their taxes and finances while celebrating everything that has happened in their lives over the past year. Whether they had a baby, got married, donated to charity, started a business or made a move, let’s raise a tax-themed cocktail in honor of 2015. You all rocked this year. Now let’s rock your taxes. Happy You Year! First full weekend (Sat and Sun) of the every month – get free general admission to more than 150 museums nationwide with the Museums on Us® program. Just present your Bank of America credit or debit card, along with your photo ID. Find a list of participating museums or learn more about the Museums on Us® program. 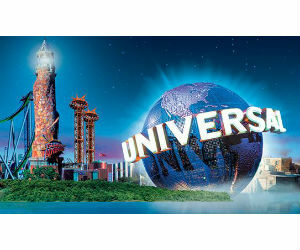 Enter the USA Modern Family trip to Universal Orlando Sweepstakes for a chance to Win a Trip for 4 to Universal Orlando. Enter daily by February 21, 2016 at 11:59pm ET. My free DVD movie rental code expires on 2/29/16. Not sure how long this offer will last. Get a free 1 year subscription to Ebony Magazine. Enjoy an 11 issue subscription. Ebony regularly has a P&G coupon inserts. No strings attached. You’ll never receive a bill. While supplies last.